$189.98 per adult, children ages 3-11 are $120.98, and infants 2 and under are free. Available Tuesday, Wednesday, and Friday. 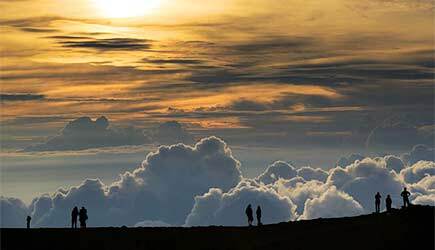 The Haleakala Sunset Tour is an wonderful option for guests who prefer to sleep in, and it offers the same dazzling show of light and color as sunrise tours at twilight. 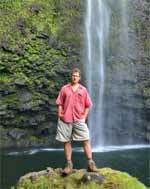 You will visit Kula Lodge Marketplace nestled in the slopes of Haleakala as you ascend. Browse unique gift items and enjoy scenic views of the Pacific Ocean. 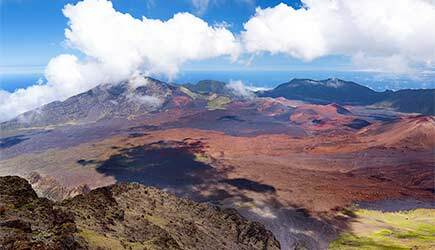 Experience the view at 7,000 feet elevation at the Haleakala Ranger Station, and the amazing crater views at 9,740 ft at the Haleakala Visitor Center. 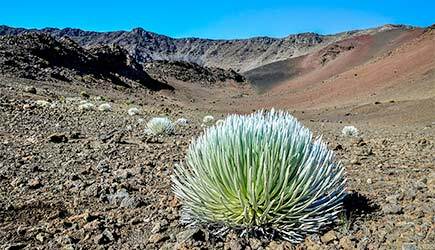 Catch a glimpse of the rare Nene Goose and check out the the endemic silversword plant. 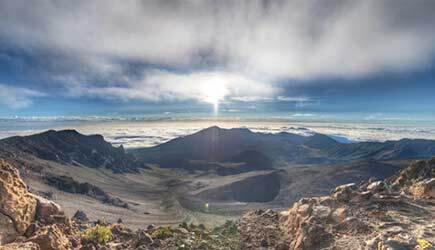 Atop the beautiful Haleakala, you will gaze upon the breathtaking sunset. 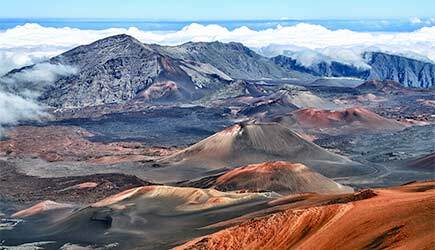 As you descend Haleakala, marvel at scenic views of Maui's lowlands. On this tour you will travel in comfort in a new Grech mini coach with panoramic windows. Pickup is at 1:30pm, and you will return at 10:00pm. The tour includes complimentary hotel pickup and return (They are not permitted to pick up in residential areas or at B&B's). 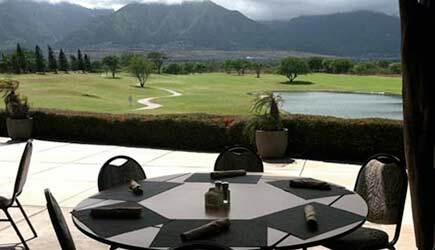 Dinner at Cafe O' Lei at the Dunes is also included. You will have the following entree choices: Sauteed mahi mahi, macadamia crusted chicken, vegetable Napoleon over quinoa with pesto and balsamic reduction, or plated Kula green salad with lilikoi and papaya seed dressing. All choices comes with fresh fruit sorbet or brownie sundae, and Hawaiian coffee or tea. 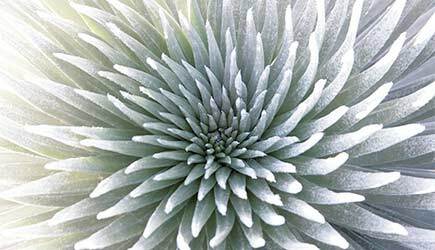 You must dress warmly as temperatures can fluctuate. Because of the high elevation, this tour is not recommended for anyone with breathing or heart problems. People who have gone scuba diving should wait 72 hours before going on this tour. This tour is also operated on winding roads, and is not recommended for pregnant women or those with back or motion problems. 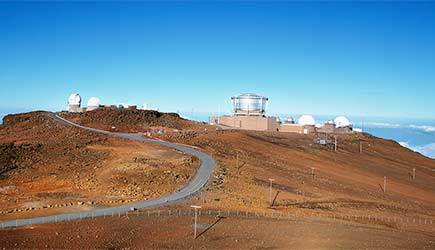 Haleakala Sunset tour is not recommended for cruise ship passengers. 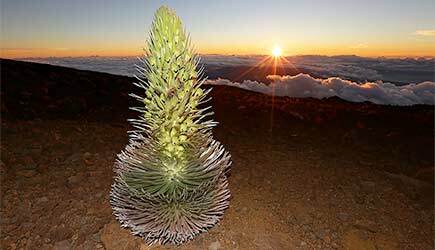 If you'd like to see Haleakala, we recommend one of the Sunrise Tours.